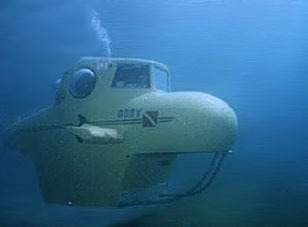 The SportSub III, built by the IVC Corporation is a simple 3-man sub. Domed side windows and large front windows give the occupants a good field of vision. Numerous options can be specified when buying the SportSub III; including lights, ultrasonic communications, and additional air supply.